Sometimes, the driver may not be the only one involved in an accident. Think of the last time that you were driving with somebody and they were not being careful, such as texting or turning around to talk to passengers. Sometimes, these accidents will leave to very serious injuries in both the driver and passengers. When this occurs, a passenger is permitted to make an injury claim for their sustained damages. 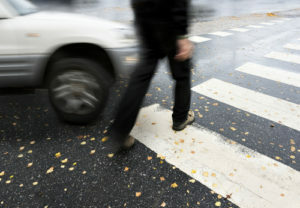 Now we will help you gain a better understanding of what you can do if you were injured in a car accident. The first thing that you must determine is who was at fault for the accident. This is a big deal because the insurance companies will be looking at your case and attempting to figure out who was responsible before they grant damages. In fact, they will launch an investigation to figure out all of these important details. This includes looking at important documents like police reports, statements from the parties involved, and statements from the witnesses who observed the accident firsthand. Drivers: There are typically two drivers involved in an accident – so which one was at fault? If you can’t find fault in one party, eventually you will compensate from one driver because of the absence of another intervening cause. You may find, however, that you cannot obtain your entire amount of damages from each driver. There will be many factors taken into consideration to help you receive the compensation you deserve. Manufacturers: Of course, there may be other parties responsible besides just the drivers. Perhaps the manufacturers of the vehicle or vehicle’s parts is responsible because they manufactured a faulty product. If so, the circumstances will call for a lawsuit against them. Government: Lastly, you may find that the government is responsible for the accident because they did not properly maintain the road on which the accident took place. No matter who is found to be at-fault, we will help you make these determinations based on what happened in your case. Determining the liable party is one of the most important steps in making a claim and we will see to it that you do just that. Take pictures of the accident scene, as they are one of the greatest ways to document what happened. Never talk to the other driver about the accident. Do not admit fault under any circumstances. Always stick to the facts when you are discussing matters with the police. Accept any medical attention that is given to you, as you may not understand the extent of your injuries at first. See your family care physician as soon as possible. This can help you later on when you are attempting to receive compensation. Do not talk to insurance adjusters, and instead refer them to your lawyer. Speak to us today about your claim. We can help you every step of the way through this complex process. As a passenger, you may see a lot of complexities involved with the accident from a different view than the drivers. 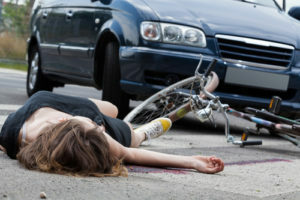 These cases can get much more complicated when insurance companies will not come to an agreement about which driver is liable for the accident. However, your statements will matter. This is why you should always have an experienced attorney on your case who has handled car accident cases before and can help answer your questions. At RAWA Law Group, we care about your case and will do just that. Give us a call today.